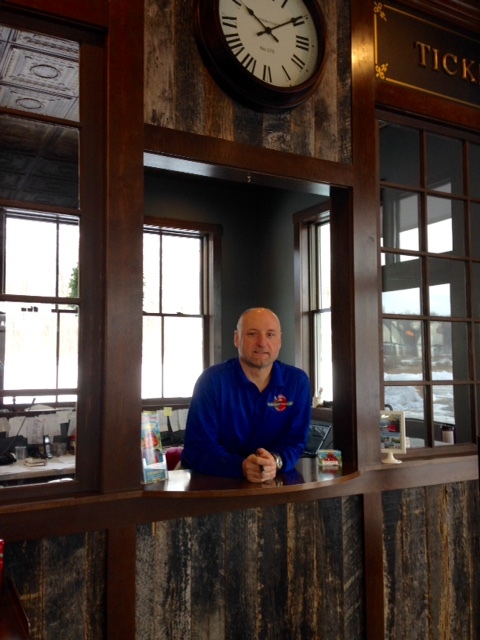 A J owner of the Door County Trolley enjoying his new home in Egg Harbor. All the Trolley packages are just .08 of a mile from the B&B. You can have a choice of 3 Ghost tours, a Premier Wine Tour, and Lighthouse Tour for this coming season, At this time the Winter Wonderland tour takes you on a Sleigh Ride, 2 or 3 wineries and a great lunch. His guides are the greatest Bruce, John, Jim, and Todd love what they do and share their love of Door County. This entry was posted in B&B Articles. Bookmark the permalink.